Dayton, TN — As campaign signs disappear from the Rhea County landscape, proper steps must be taken before results are certified and considered official. The first of those steps deals with reviewing provisional ballots. The Rhea County Election Commission held an open meeting to do just that. When a voter doesn’t appear to be registered or forgets to bring their ID, they are allowed to vote, but given a provisional ballot. A total 6 provisional ballots were reviewed. Of the six ballots under review, the state confirmed the voter in question was not registered to vote via a scanned copy of the form from the TN Dept of Motor Vehicles. This was the only green provisional (unregistered voter). Apparently the voter had chosen explicitly not to be registered to vote on a form. Given the state confirmed the voter wasn’t registered, Election Administrator Tom Davis recommended to reject the ballot. The other 5 were orange provisional ballots which were given to voters who forgot their ID. Voters had three days to bring in their ID for their vote to be accepted, only 2 did. Davis recommended to accept the 2 votes. The commission unanimously agreed. With a county commission seat won by one vote, two candidates vying for that seat were deeply concerned. 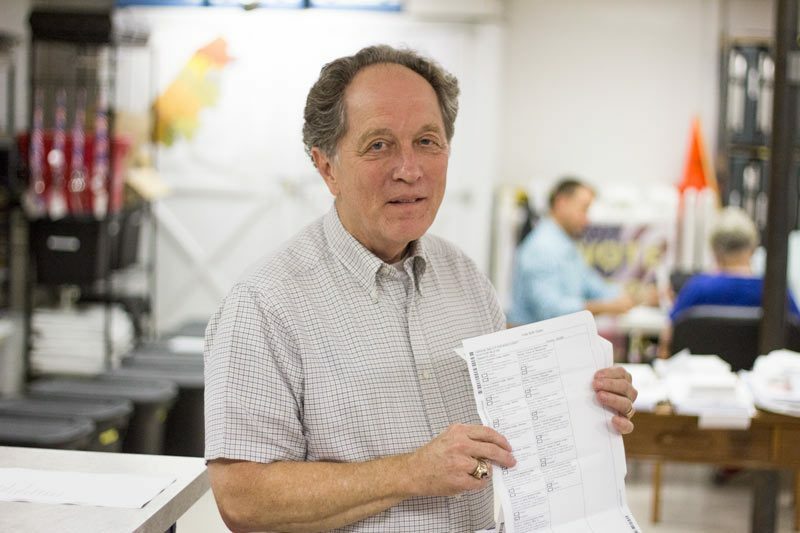 To his relief, Eddie Francisco doubled his margin of victory over incumbent Doyle Montgomery in the 6th District (Morgantown) to two votes giving him a total of 194 to Montgomery’s 192. The other ballot accepted is significant as well. The voter chose GOP challenger Jim Tracy over incumbent Scott DesJarlais who won the 4th US Congressional District race by a razor-thin 35 votes, now 34. As provisional votes are reviewed in other counties, both camps are bringing in teams of lawyers for a continued battle in court. Special thanks to News Channel 9 for video coverage. Next articleWatts Bar Unit 2 – On schedule, on budget.